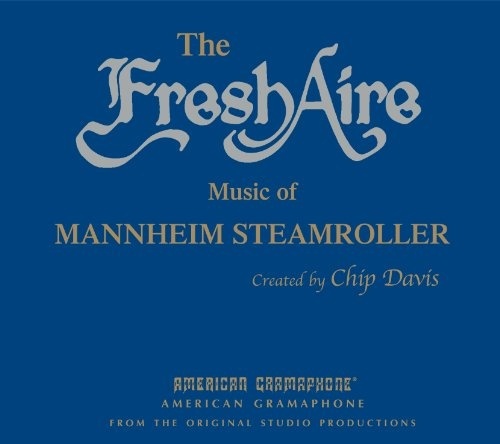 Fresh Aire Music of Mannheim Steamroller collects 25 tracks from the venerable new age collective, all of which were personally selected by creator and founder Chip Davis. Culled from the group’s eight studio albums under the Fresh Aire moniker (tracks from the popular, Grammy-winning holiday albums do not appear here), the anthology covers a wide breadth of material that spans nearly three decades. This portion of Davis' audiophile blend of neo-classical and contemporary new age instrumental music has been collected before, most notably on 2000’s Fresh Aire Collector's Box, Vols. 1-8, but listeners who are looking for a less demanding introduction to Mannheim Steamroller may find this “highlights” disc to be a far more more palatable overview.